Will Google’s New Mobile Friendly Algorithm Impact Your Website? Starting on April 21st, Google is going to take the new mobile-friendly guidelines into consideration when ranking mobile search results. The websites that are the most mobile-friendly will rank the highest when people are searching Google on their mobile devices. Since the use of mobile devices has increased drastically, you don’t want your website to fall behind when it comes to mobile searches. This algorithm will impact websites worldwide. Avoid the use of the software Flash. Most mobile devices do not have this. Have readable text and clickable links. If someone needs to zoom in to read or click, change it. Don’t place links to close to one another. Viewers can easily click the wrong one this way. Size the content so that there is no need to scroll horizontally. Link to other mobile-friendly sites from your mobile site, not desktop pages. Making these improvements to your website will not only be beneficial for your SEO, it will also be beneficial for the viewers of your site. Why would you want them to have a negative experience while viewing your site? The list above is the criteria that the Googlebot looks for when deciding if the site is mobile-friendly or not. Once you think you have done all you can to make your site mobile-friendly, double check yourself. Google offers a mobile-friendly test that can help you to see if your website is truly mobile-friendly according to Google’s standards. You have up until April 21st to make these changes to your site. Start making these improvements now. 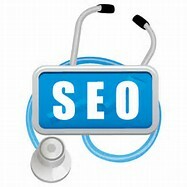 Your website will be on it’s way to better SEO!